The RESCUE REMEDY® is a combination of flower essences in a grape alcohol solution. The original RESCUE® flower essences were discovered by Dr Bach in the 1930`s to provide support in times of emotional demand. Today, people across the world take comfort that RESCUE® is by their side when they need to get the most from their busy day. Whether it is a frustrating commute, approaching exams, a difficult day at the office, or even the demands of a busy family life, keep on top of your day with RESCUE®. Grape Alcohol (approx. 27% v/v), Flower Extracts of: Rock Rose, Impatiens, Clematis, Star of Bethlehem and Cherry Plum. 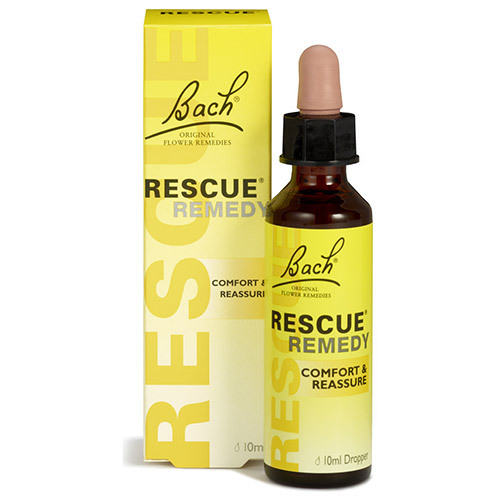 Below are reviews of Bach RESCUE REMEDY Drops - 10ml by bodykind customers. If you have tried this product we'd love to hear what you think so please leave a review. Have always kept this product in my medicine/first aid cabinet & also a spare bottle in my handbag - and used it to good effect on several occasions. Have also recommended it to other people. This is a wonderful product, and helped me with my nervous bowel.